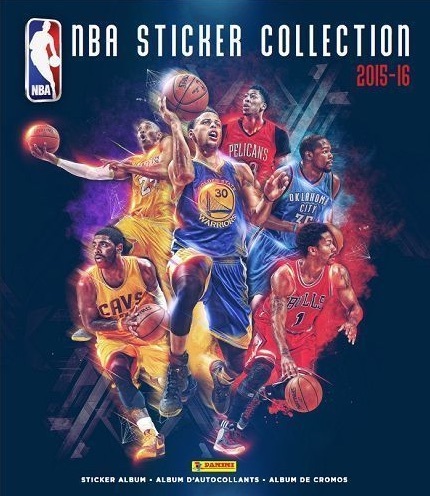 Featuring a familiar format on the entry-level realm of the collecting world, 2015-16 Panini NBA Sticker Collection offers a comprehensive look at the league for a budget price. Although value is not ever an option for these releases, the focus is clearly on the collecting side of things, and it is a fun way to start in the hobby or just casually collect. With 483 cards in the base set, the NBA receives good overall coverage. Although there are no true inserts, several different subsets add to the variety of the cards. Foil cards offer secondary options for the top names on each team and there are Foil Team Logos as well. Home Jersey and Away Jersey display the two primary jersey choices for each team. Looking back to last season, The Finals documents the championship series between the Cleveland Cavaliers and Golden State Warriors. There are also subsets devoted to the 2015 NBA All-Star game, 2014-15 award winners and 2014-15 season highlights. Sticking to tradition, a 72-page album completes the offering with a ready-made place to house all the stickers. The main box format consists of 50 packs of seven cards, but there is also a Combo display that features 100 packs and 20 albums. Great for beginning and younger collectors. I’m a school teacher and the kids are really into it. Lots of trade value with the foil stickers but spending close to $100 and having many doubles isn’t worth it for the true basketball enthusiast. However, the kids really seek out their favorite players and I offer packs as bonus marks..it’s a hit!